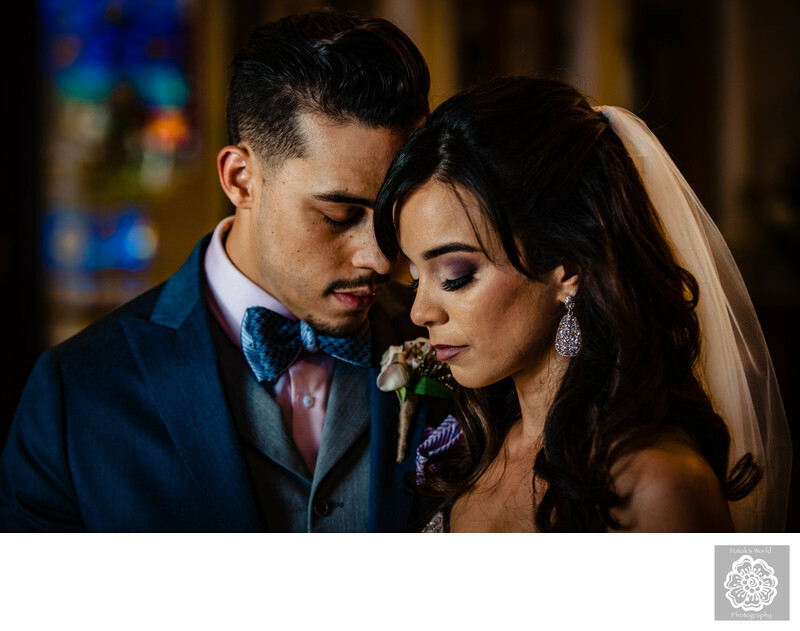 What makes the best Washington, DC, wedding photography? Obviously, a stunning image of a bride and groom needs to check all of photography’s standard technical boxes. The composition has to be right and the lighting needs to be perfect, of course. The posing (if it isn’t a candid photo) should accentuate everyone’s best features and so forth. The technical aspects of a wedding photograph are not what sets it apart from the rest. Instead, it is the artistry of the Washington, DC, wedding photographer that turns a good image into a great one. His or her ability to capture in a beautiful way the love that binds the couple is what matters. The “beautiful” part is what makes declaring a photo of DC area newlyweds “the best” an exercise in subjectivity. Some people prefer Washington matrimonial images that are bright and full of light. Other brides and grooms love wedding-day shots that are darker, moodier and more expressive. Some of our clients in the Washington metro area want photographs with the city’s most famous landmarks in the background. Others do not care where the images are taken, because their love is all they want to see in the final image. At the end of the day, obviously there is no right answer to our question. The best wedding photos for you are the ones that speak to you as a future Washington bride or groom. You should look back at your wedding pictures and see an accurate depiction of your relationship at that time in your life. You should remember the way you and your new husband or wife felt about one another at that moment. You should re-experience the emotions that coursed through you on that special day in Washington, DC. For that reason, you should pick DC wedding photographers who best highlight the things that matter most to you in the ways you like best. One thing that many of our Washington clients have appreciated about the images we produce is their sense of intimacy. They love that we create pictures in which newlyweds appear to be the only two people on the face of the earth. Many couples feel when they are in one another’s arms and want their wedding photos to reflect that emotion. Getting these types of photos is often easier said than done, of course. Private moments on a wedding day in Washington are few and far between! With so many family members, friends and guests wanting a moment of their time, brides and grooms are rarely alone. So sometimes a good Washington, DC, wedding photographer needs to use their craft to create the illusion of intimacy. That is what we did to capture this beautiful image of two newlyweds. When we took this picture, the couple had just finished their marriage ceremony at St. Nicholas Greek Orthodox Church in Baltimore, Maryland. They stepped out into the foyer and waited for the wedding planner to tell them where to go next. Most of the guests were milling around, chatting with one another and occasionally stopping by to congratulate the happy bride and groom. Despite the beautiful late-afternoon sunlight coming in through the church’s front window, it was hardly a great scenario for a couples portrait. We really wanted to give them an intimate picture, though, so we tapped into our creativity. For starters, we attached a lens with a long focal length onto our cameras. That effectively eliminated the crowd from our photo composition. At the center of the frame was nothing more than the newlyweds. We then asked the new husband and wife to get in close and lean their heads together. That created a sense of physical closeness and connection. Then we had them close their eyes to block from their minds the distracting crowd building around them. This helped them focus only on one another. That relaxed them and gave their faces a serene and peaceful look. They were able to just enjoy being with the person they loved at that exact, perfect moment. Location: St Nicholas Greek Orthodox Church, 520 Ponca St, Baltimore, MD 21224.